Writers are notorious for drinking coffee as a means to staying energized and productive. But I’ve noticed several issues lately any time I drank coffee at night in order to work late or too much at any given time. 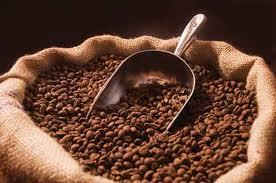 I’ve also read several articles recently concerning the health benefits of coffee. So what does this mean for those of us who need its properties or enjoy its flavor? Apparently excess caffeine causes liver damage because while the enzymes used to break down the caffeine are busy doing so, they are less available for breaking down other chemicals in the bloodstream therefore causing the liver to work less efficiently at detoxifying the body. It has been recommended that anything more than two cups of coffee a day is excessive. And experts recommend replacing additional cups with water. According to a recent study reported by the BBC, people who drink too much coffee could start seeing ghosts or hearing strange voices! Students in the study who drank more than seven cups of instant coffee each day were three times more likely to hallucinate than people who drank one cup. “Any stimulant that you’re overdosing on, such as seven cups a day, will stimulate hallucinations,” Dr. Teitelbaum explains. A recent study [by Kaiser Permanente Division of Research] found that consuming more than two cups, of coffee a day doubled the risk of miscarriage. Another study published in the British Medical Journal in November 2008 found that more than one cup of caffeine a day while pregnant resulted in a lower birth weight for the baby. “When used at more than 12 ounces a day for energy, it becomes an energy ‘loan shark,’ crashing you later and taking more energy than it gives,” says Jacob Teitelbaum, M.D. and Medical Director of the national Fibromyalgia and Fatigue Centers. He notes coffee consumption becomes problematic when it’s not done in moderation and exceeds two cups each day. 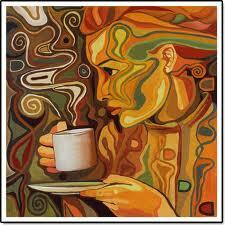 Plus, excessive coffee intake in someone who already tends to have anxiety may trigger other problems. It may cause palpitations, more anxiety, irritability, then rebound fatigue, depression and sleepiness once the effects of the caffeine wear off in usually three to three and a half hours. Caffeine is a mild diuretic, so while many people start their day with a cup of coffee, they are already at a deficit as far as the six to eight glasses of water we need to stay hydrated each day. Drinking excess amounts of coffee, which has a laxative effect, can also aggravate irritable bowel syndrome. Caffeine also promotes potassium depletion; the net effect being that the mineral balance in your body is disrupted. Coffee releases the “stress hormone” cortisol and adrenaline which help us respond to stress and provide us with energy and vitality throughout the day. Heavy coffee drinkers secrete more cortisol and adrenaline than those without a coffee habit, which may ultimately result in fatigue of the adrenal gland. Adrenal fatigue is one of the most common culprits for the feelings of fatigue and exhaustion. Caffeinated beverages like coffee have an acidic and astringent effect on the tissues of the body which prevents optimal absorption and assimilation of nutrients and fluids in the digestive tract. In fact, acid interferes with the absorption of magnesium and can cause stomach problems. It can run into the intestine and cause ulcers, burn the tissue, contribute to bowel problems. According to a University of Scranton study, while coffee is a top antioxidant in the American diet, it’s most beneficial when people consume a variety of antioxidants, not just coffee. Although there are positive aspects of drinking java, to prevent the negative health risks people should drink the beverage in moderation. 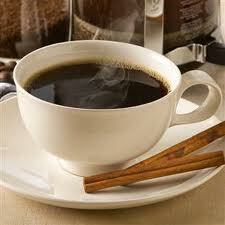 Coffee contains volatile oils (seen as a film at the top of each cup), which disturb the function of the blood vessels. It contains a lot of pesticides, which can cause the body to accumulate too many toxins; it damages the immune system; it may cause osteoporosis as it depletes calcium levels in the body; and there’s an overall increased risk of cardiovascular disease. 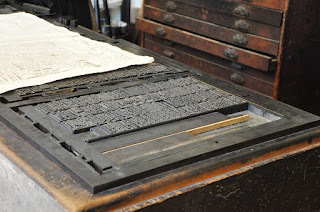 Great article Rebecca. I'm going to send you an email to use this on my health site! I drink coffee every morning, but keep it to around 6 ounces. I want to start switching it with tea, at least a couple of days a week. I so love coffee Rebecca - the smell, the flavour, the thought, even the picture of it, but it makes me jittery (even one cup), so I gave it up many years ago and now drink green tea instead, which doesn't bother me at all (and is also high in antioxidants). For that creamy richness, caro or ecco is a good substitute without any negative effects. I like it when others drink it around me so I can enjoy the smell! Great article -- and oh, so, discouraging, as I was about to go get another cup of coffee (it's 11:30 AM here). Interesting. I had already cut down to one cup after dinner in the evening but had not realized just how many problems it could cause. So glad I'm not a big coffee drinker! Sobering information. I too love coffee! The smell, just holding it in my hand, the taste...the time I stop and allow myself to be still and drink it. I try and limit the amount, but I'm not ready to give it up yet. Mary Jo, I love coffee too, but limit it to one cup in the morning. Funny, I use to be a tea drinker until my 40s.